Just a quick public service announcement: my Beirut photo-journal '48 Hours of Holiness' is now live! Check it out here. "Unlike many places around the world, Lebanon’s diversity is synonymous with religion. There are 18 officially recognized religions in Lebanon — the majority of which are either Christian (Maronite, Greek Orthodox, Protestant) or Muslim (Sunni, Shia, Druze). Lebanon also has the largest community of Christians in the Arab world. Religion is a strong marker of identity in Lebanon, and Lebanese pride in the traditions, rituals, and history of their respective faiths is clear throughout the country. Many publications and outlets have made Lebanon’s religious diversity the scapegoat for its political instability. Yet it seems that it is precisely it’s ‘holiness’ that brings peace to many of those passing through. Below are a series of images captured in the two days prior to Easter Sunday where biblical symbols and rituals are prominent particularly in the outskirts of Beirut. Each image tries to capture the spirit of the capital as well as the stories of those who have come to Lebanon precisely for a type of peace they believe only it can provide." "Many view travel as an experience that is positive for all those involved - the traveler and the local. Travel is linked to ideas of cross-cultural exchange and prosperity for the local community. Through my own travel experiences and my interactions with locals across cultures, I've realized that this is a misconception. Below I share stories from the everyday life of this introverted nation in hopes of shedding light on the often obvious, yet unspoken, effects of tourism on local life." In this piece, I take the audience on a journey through Nicaragua telling stories I've heard and witnessed that reflect the ways in which tourism can cause chaos in the lives of communities. This is a topic that is close to my heart since I've been on a mission to always be mindful of communities that I come across. Travel shouldn't be the consumption of communities, but the celebration of them. On another note, I am proud of this piece as it's my first time to put photography before writing. I've always had a thing for visual storytelling, and it has been a while since I put visuals before words, and I am grateful to have ventured into this. I am currently doing a photography course in hopes of upping my photojournalism game and hopefully, one day become a visual researcher of sorts. Please do check it out, you can view it here. I think I've found my forever woman crush. Tanya Habjouqa is everything I aspire to be - witty, smart, confident, vibrant, emotional, energetic, spirited and a world-class photographer. She's the winner of the World Press Photo (Photo of the Year) in 2015 and was my recently my mentor at Gulf Photo Plus Photo Week 2018. From 7 - 12 February I was part of a workshop lead by Tanya (workshop of my dreams frankly) that brought together a group of 10 Arab photographers working on long-term documentary projects. I can't even express how I feel about the last 5 days. Being around Tanya for that long was just... rejuvenating. I never felt more motivated to go out there and share the stories I believe matter so much. It was an experience I am so humbled to be a part of, mostly because I got to see some of Tanya's most recent work - which often touches on the political tensions of Palestine/Israel as well as the war in Syria - and also because I got to be intellectually stimulated by an Arab woman I fiercely admire. Tanya's work challenges the Occupation and Israeli apartheid in subtle ways making the audience question the short stories in each image. Her work also shares tragic stories of love and loss in the aftermath of the Syrian refugee crisis. My most favourite project of hers is "Tomorrow There Will be Apricots" - a title that insinuates sunshine harbours darkness when translated to Arabic. "Tomorrow There Will be Apricots" is a metaphor for broken dreams and wishes unfulfilled. Tanya's intense passion for the stories of the people photographed is awe inspiring. For more of Tanya's work click here or here. After two intense days doing this workshop at Photo Week 2018, I am so full of new ideas and inspiration that I feel almost hung over. I have so many stories and artists I want to share, but I don't want to overwhelm my page - maybe I'll release some of this inspiration gradually in coming issues of my newsletter. 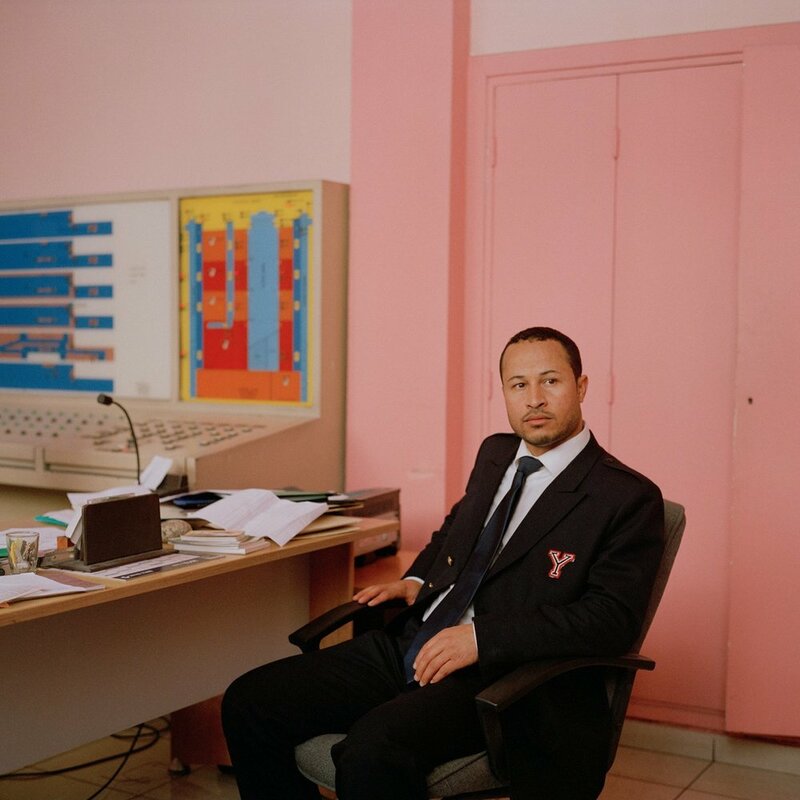 Anyway, for today's inspiration, I want to share the work of documentary photographer Hicham Gardaf. Hicham is of Moroccan origin and focuses on topics related to urbanisation and identity specifically in his home country. The image above is my favourite from his collection titled "Intersections" which explores city 'fringes and borders' and their coexistence with contemporary society. I love the mood and the feel of Hicham's work and you can view more of the project here. I stumbled upon Sudanese photographer Abbas Habiballa's work while scouring the internet for more resources about Sudan (I have an article currently under construction and looking for references). I love finding the work of photographers who lived before our digitalized age because it shows the true extent of their talent - no easy digital equipment to make everything look good. It takes true artistry. From what I gather Habiballa was born in the 1950s and pursued photography in the 60s and 70s, during the era of Sudan's post-independence, post-modern aesthetics. He took everyday photos around his neighbourhood and hometown. Sometimes you just need plain old raw artistry to shake and move you. I love this photojournal of his work. This year has been the year I discovered a number of incredible Arab female photographers. As an aspiring photojournalist and storyteller, this discovery was transformative. For as long as I remember, I always wanted to tell visual stories - but growing up I never knew any Arab women who were involved in visual storytelling. This was because a) most photographers/filmmakers who make it to the mainstream are men, and b) many female photographers that do make it often aren't WoC. On some level, I think this discouraged me from ever believing that I could one-day share stories and be taken seriously or heard. But this year, things changed. Thanks to technology, more than ever before, WoC are able to share their work and be heard. And that's something that has encouraged me to fearlessly share stories. I am so proud to see so many incredible Arab women smashing glass ceilings and telling beautiful stories about us. So, for today's daily inspiration I am sharing the work of female photographers/photojournalists from the Arab world that I fiercely admire. Here's to a year of catching dreams and telling stories. 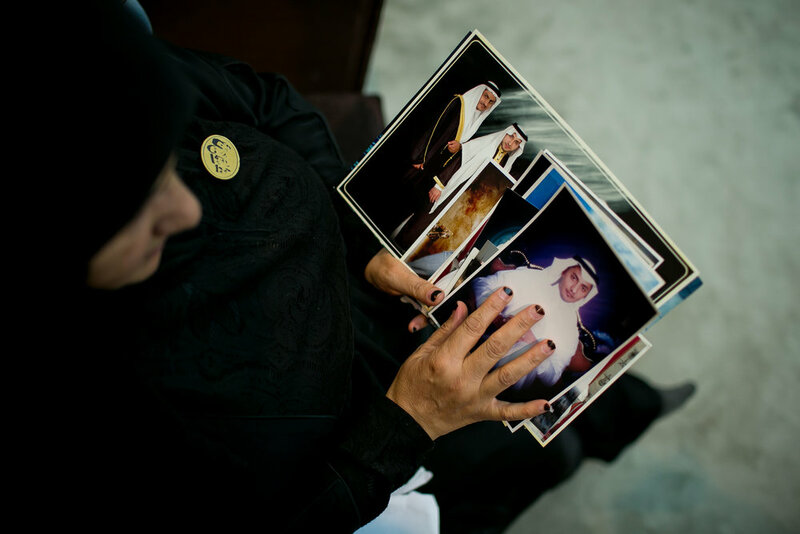 In the photos above are works from Yumna Al-Arashi (Yemen/Egypt), Tasneem Al Sultan (Saudi Arabia) and Tamara Abdul-Hadi (Iraq).